There are plenty of things Seattle is known for. The birth of grunge and Amazon, for example, and as the location for a bunch of scenes in 50 Shades of Grey. Also the unsettling connection to serial killers. Increasingly, however, it’s known for world-class cannabis shops. Whether you’re just passing through or you’re looking to make Seattle your home, Seattle is a city where cannabis lovers can be forever satisfied. These are the best recreational cannabis dispensaries in Seattle. While Have a Heart has multiple locations in Seattle and even more in other states, the Belltown spot wins out in convenience — especially for people just visiting the city. It’s a short distance away from both the Space Needle and Pike Place Market, and it has an incredibly large selection. The staff is cognizant of how its location may attract first-timers who may not know the ins and outs of visiting a recreational dispensary for the first time and can help you navigate the menu. With solid prices, it’s also not a bad place to be a regular. Three words: deals, deals, deals. The three Uncle Ike’s shops in Seattle have the best prices in town. When you just want to get in and get out without leaving your wallet as a deposit, Uncle Ike’s is the place to be. It does have a bit of a reputation thanks to owner Ian Eisenberg, however. Eisenberg made a name for himself by blocking out competitors and confronting protestors on the street. That shouldn’t impact the opinion of deal seekers, though. 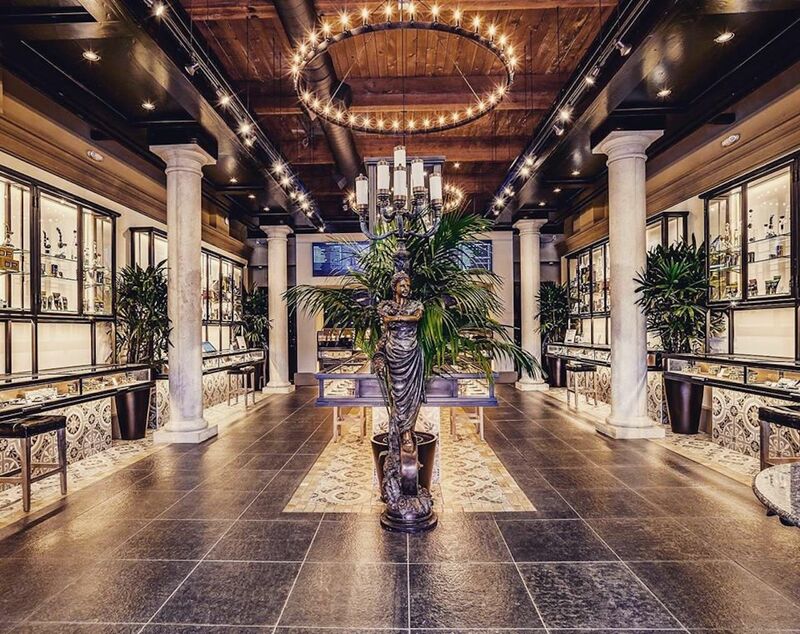 If you’ve visited some shops in Denver or know a thing or two about high-class dispensaries, there’s a good chance you recognize the name Diego Pellicer. The luxury dispensary has an outpost in Denver as well, and both made our list of the best recreational dispensaries in the US. And by luxury, we mean luxury. Inside looks like ancient Greek meets 21st-century dispensary with a little bit of Vegas flair. 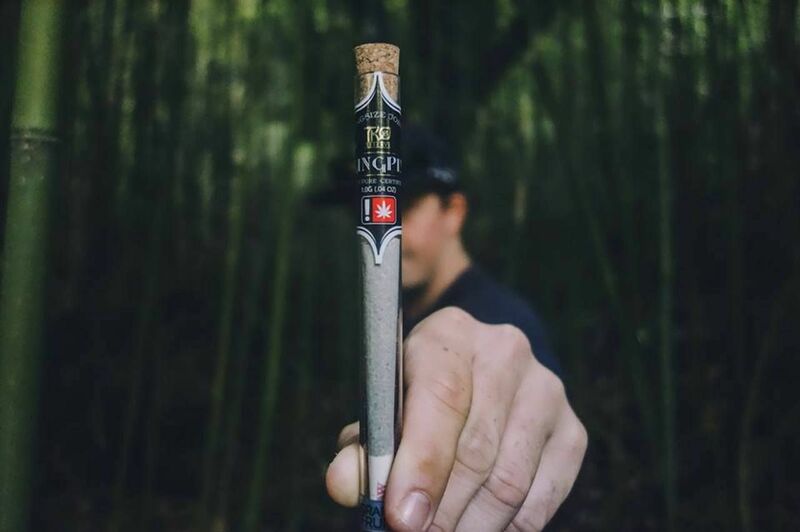 The attention to detail extends to the staff and the products as well, with high-quality and affordable cannabis. If you’re still having trouble in this day and age with convincing someone in your group that cannabis has moved beyond its seedy past, this is where to go. If Have a Heart wins out in foot traffic convenience, Kush21 wins out in just-got-to-Seattle-where’s-the-weed convenience. It’s a short distance from the airport and hits all the right notes when it comes to quick-purchase price points. The staff is friendly, and it’s a place where you’re just as welcome to chat as get in and get out. Say you’ve got some time to dawdle away and want to learn a little more about marijuana. 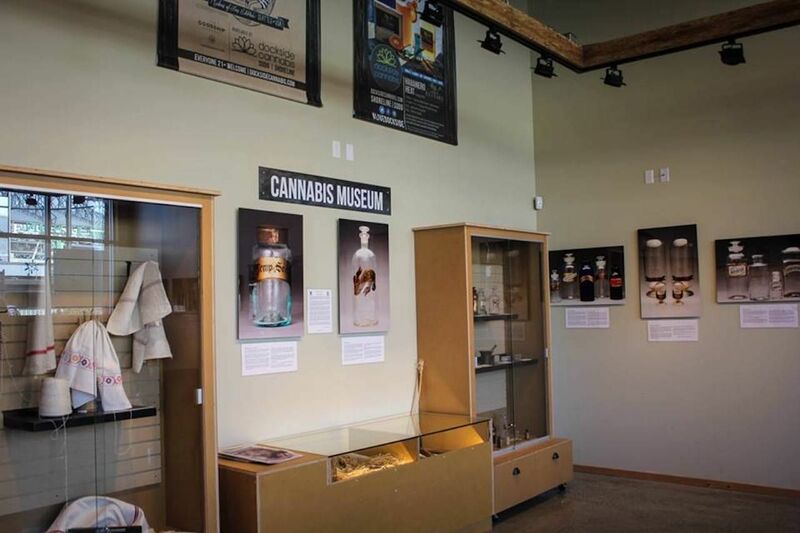 If that’s the case, linger for a bit at Dockside, where there’s an exhibit of cannabis artifacts that aren’t exactly ancient, but they’re definitely not from this century. Reputable people are on staff who make the media rounds as experts explaining the ins and outs of flower, concentrates, and edibles. The prices can be a little higher here than others on this list, but you’ve got to factor in the service and selection somehow. The modernist shop to Diego Pellicer’s Greek revivalism. A visit to Lux Pot Shop is a bit like walking into a future where nothing is dirty and everything is bright, well-lit, and organized just so. It used to be called Stash but ditched the name in 2017 and now has two locations in the city with the decidedly more upscale name of Lux. Both stores have anything you could ask for — including cannabis teas and apple drinks — and a staff that can help even the most indecisive person decide. 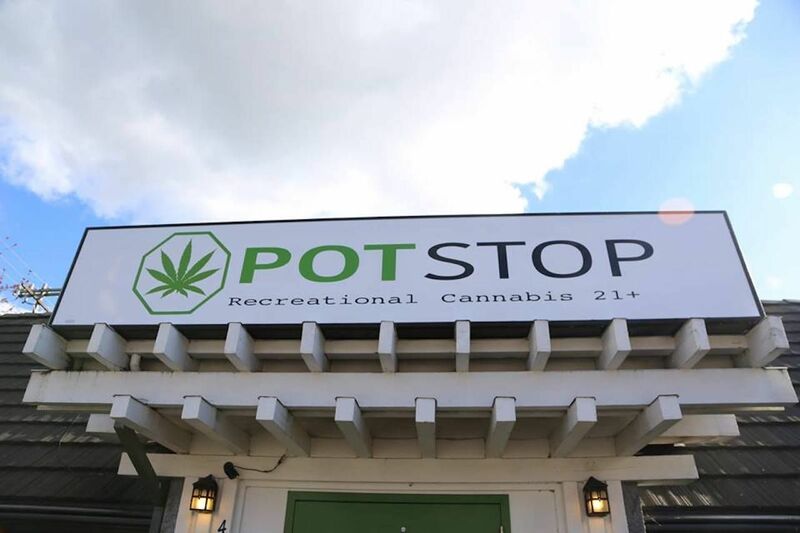 Come to Pot Stop for the selection, stay for the people. The shop covers the basics and then some, and the budtenders will help you nail down exactly what you’re looking for, even if you’re not really sure what you’re looking for. Having opened in 2011, it’s the oldest marijuana shop in Seattle, and that trust it’s built with customers — whether they’re the type the buy only the cheapest deals or the type that goes for the finer stuff — says a lot about the experience you’ll have when you visit.